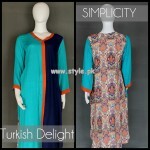 Simplicity is a clothing brand for women in Pakistan.Simplicity has brought a trend of unique style of clothes in fashion.Simplicity was established in year 2010 but in a very short spam of their career they have gained so much response.Simplicity offers you casual wear and party wear outfits in ready to wear pattern.Simplicity casual wear collection 2013 has recently revealed for the season of spring/summer. 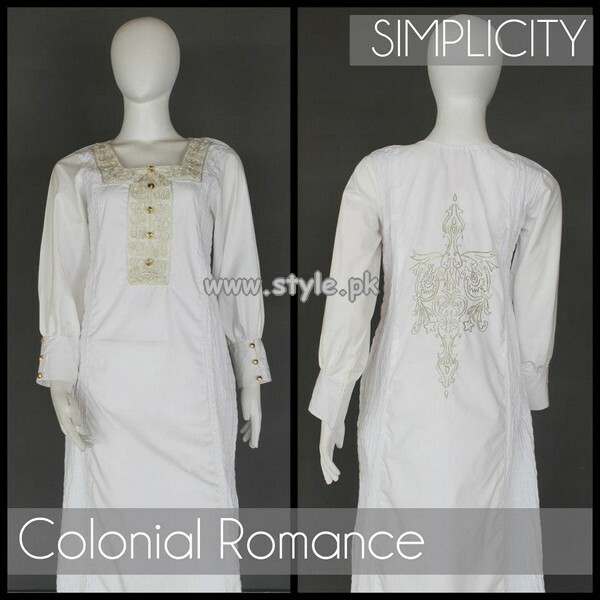 In this beautiful collection, Simplicity has added vibrant shades and richness.Simplicity latest spring/summer collection 2013 has consists of long shirts with churidar pajamas and trousers.Simplicity latest collection for women 2013 has designed perfectly for casual wear.These dresses have adorned with little bit embroidery on front and back of shirts.Some of the trousers also adorned with embroidery.This is a perfect collection for young girls.Simplicity casual wear collection 2013 for women has full of with elegant looks and styles.These dresses are looking marvelous because of their looks and styles.Girls!! 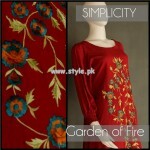 the colors used for this collection are bright such as blue, red, black and etc etc.Girls!! 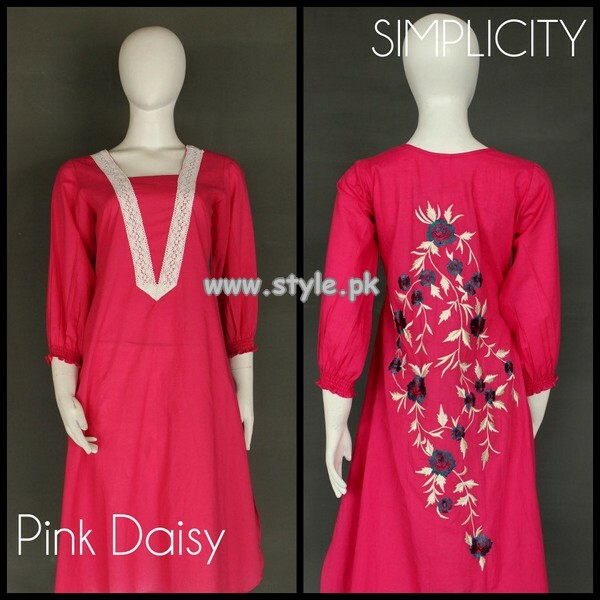 these dresses are lovely and awesome in their stitching styles.Just wit a bit here and have look at this beautiful collection by Simplicity here below.. 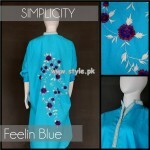 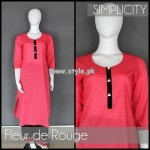 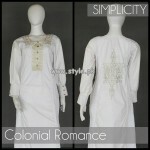 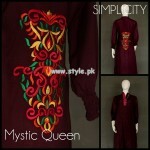 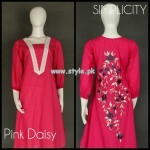 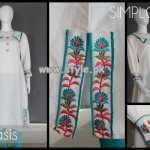 Simplicity Casual Wear Collection 2013 For Women.